GWS Tool Group is a US-based, vertically integrated manufacturer of highly engineered custom, standard, and modified standard cutting tools, primarily servicing the aerospace and defense, power generation, automotive and medical sectors. GWS Tool Group has acquired multiple businesses in the course of its growth which now serve as the respective manufacturing divisions for the company, and include GW Schultz Tool (Tavares, FL), CGI Tool Chesterfield, IN), Alliance CNC (Grand Rapids, MI) and Benchmark Carbide (Springfield, MA). The continued expansion of GWS Tool Group by way of acquisitions and constant investment in the business’ capabilities has created an explosive value proposition for customers to leverage in all advanced machining environments. We remain committed to the expansion of this value proposition always and in all ways. Florida – Since 1984, G.W. Schultz Tool has been known as a premier manufacturer of solid round carbide cutting tools. Acquired by GWS Tool Group in 2014, GW Schultz Tool now serves as the custom endmill manufacturing division for GWS Tool Group. Indiana – CGI Tool (formerly Carbide Grinding Company) was acquired by GWS Tool Group in 2017. has been manufacturing the most complex and tight tolerance carbide, PCD and CBN insert tooling solutions imaginable since 1958. Michigan – Founded in 1995, Alliance CNC, became an industry leader in the design and build of application specific, tight tolerance drills, reamers, and micro-tools. While custom tooling has been the primary focus of Alliance over the years, segments of our catalog offering such as the PAC Reamer and ECO Drill offering were brought to GWS by way of Alliance CNC. Alliance was acquired by GWS in 2018. 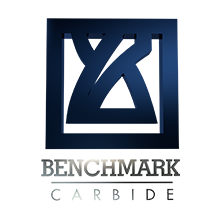 Massachusetts – Since 1980, Benchmark Carbide has been manufacturing a broad range of standard high performance endmills. Founded by Paul St Louis and later acquired by GWS Tool Group in 2018, Benchmark now serves as the production division for a great deal of the GWS catalog round tool offering.